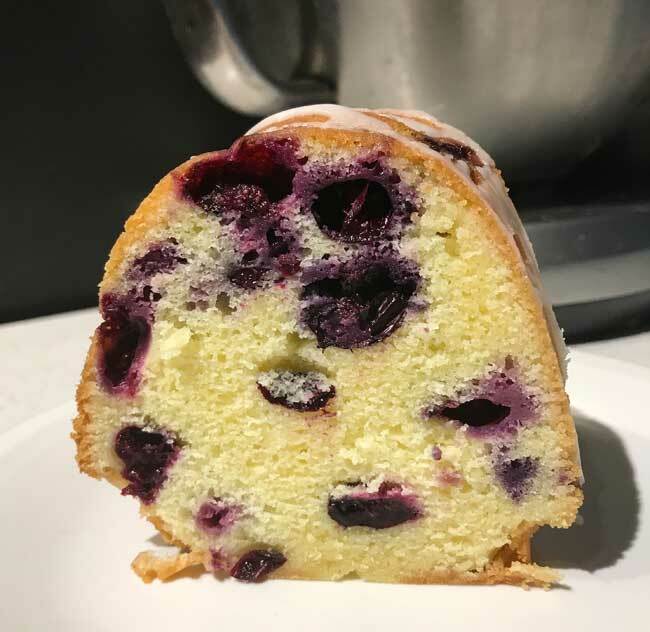 If you’re in the mood to bake a cake and want something a little different yet not too unusual, how about a Blueberry Lime Pound Cake? This recipe is from an old holiday baking issue of Fine Cooking called “Sweet Cakes”. I found it while searching my bookshelves for a late afternoon baking project, and two hours later we had cake! Here are a few pictures. 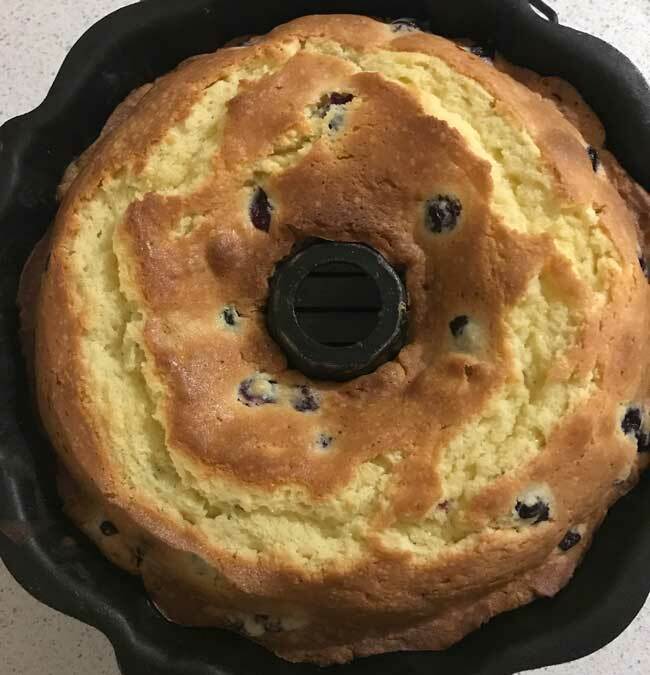 I baked it in a black Bundt pan at 350 for about 53 minutes. The texture is velvet-y soft, which is due either to the fact I used White Lily (still working on the stash I brought back from Nashville) or maybe it’s the cream cheese in the batter. The texture is definitely cake-like and not “muffin-ish”, but I still might try baking it in jumbo muffin cups to see if it will make mind blowing muffins (aka cake in disguise). Also, the lime flavor is pretty subtle. 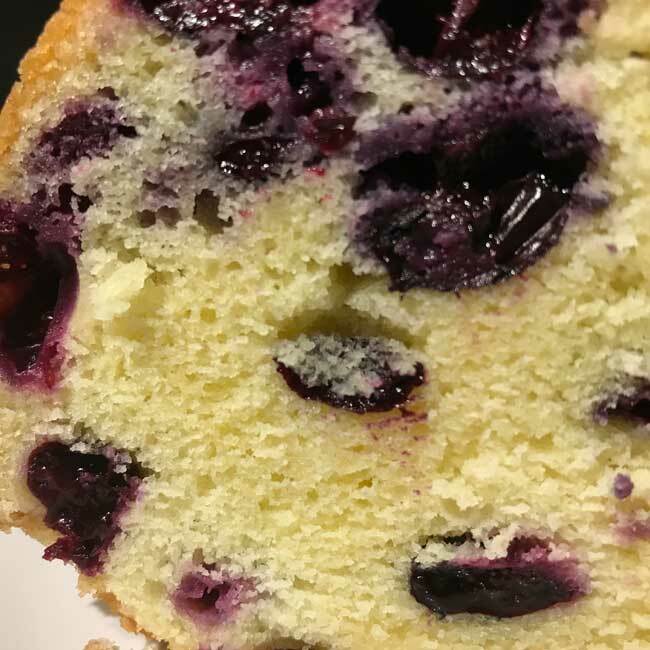 Blueberry Lime Pound Cake made with cream cheese, a bit of lime zest and a lot of blueberries. Grease and flour a standard size Bundt pan. Preheat oven to 350 degrees F.
Weigh out the flour and sift it together with the baking power. Stir in the salt (or leave the salt out and add it with the butter, which is what I do). In the bowl of a stand mixer, beat the butter, cream cheese, sugar and lime zest for about 3 minutes or until light and creamy. Scrape sides of bowl and and beat for another minute. Add one egg and beat on low until blended, then increase speed and beat on high for 30 seconds. Repeat with the 3 remaining eggs and the yolk, scraping sides of bowl between each egg addition. Using lowest speed of mixer, gradually stir in the flour mixture until fully incorporated. Add the blueberries and stir just until blended. Scrape batter into the prepared Bundt pan and bake for about 50-55 minutes. Let cool for 15 minutes, then carefully turn from pan and let cool. To make the glaze, mix together the lime juice and sugar and drizzle over cake. The cake is beautiful. The blueberry lime combo sounds interesting! How cool! 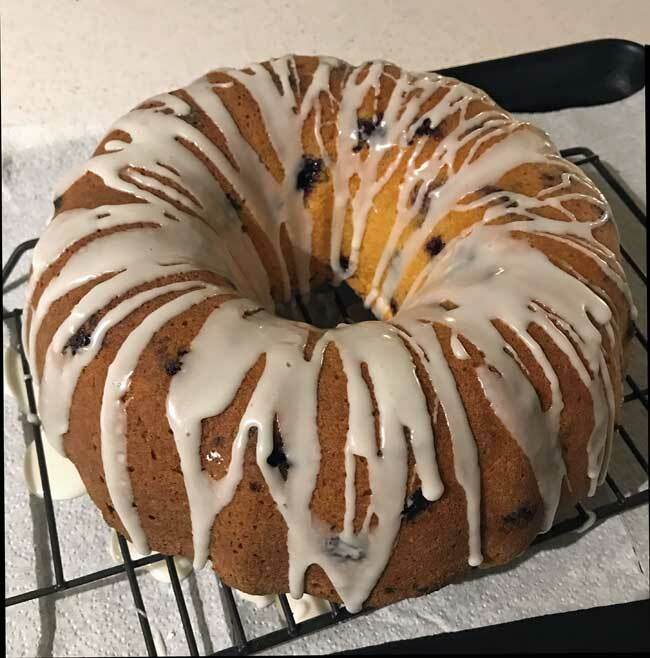 I love Cooks country’s cream cheese pound cake which also has a velvety texture, so you must be right that it is the cream cheese. I had no idea that was why. Cool! And I LOVE excuses to eat dessert for breakfast i.e. muffins :). The lime blueberry flavors sound delicious.